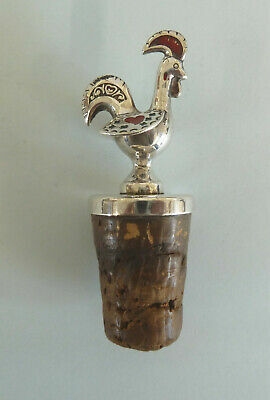 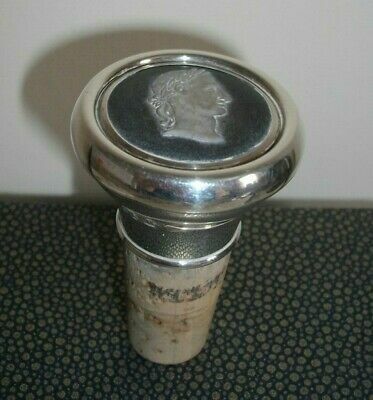 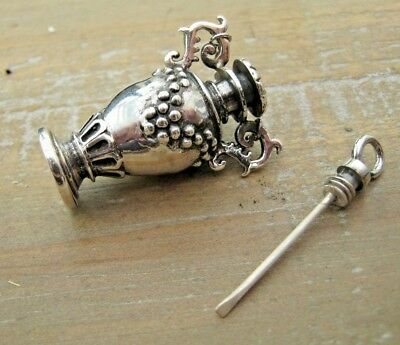 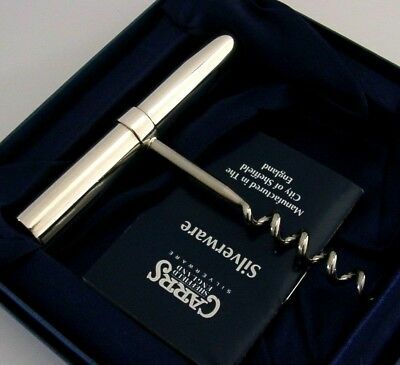 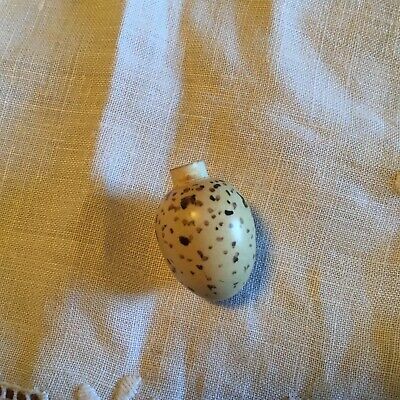 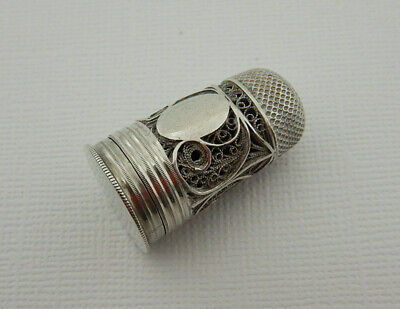 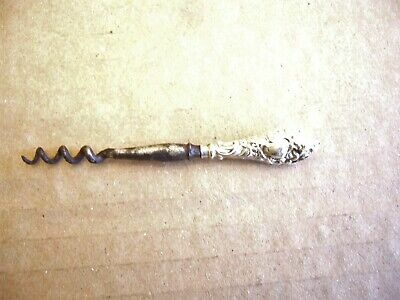 Solid SILVER & Enamel 'Cockerel' WINE Stopper. 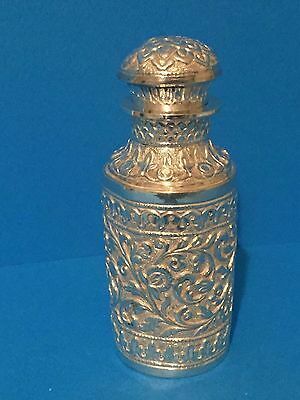 Portuguese? 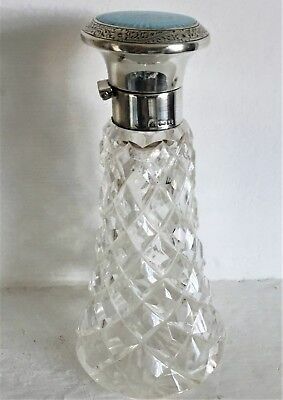 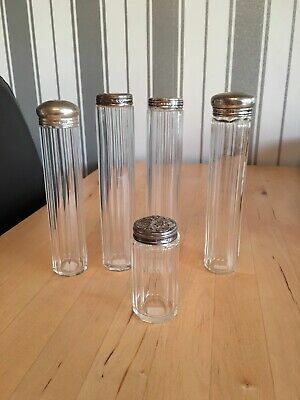 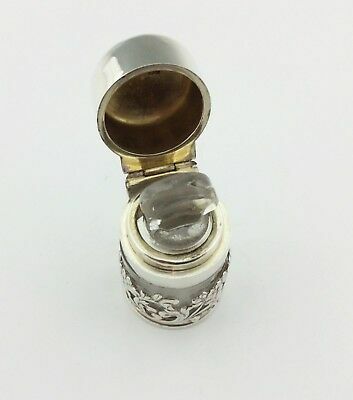 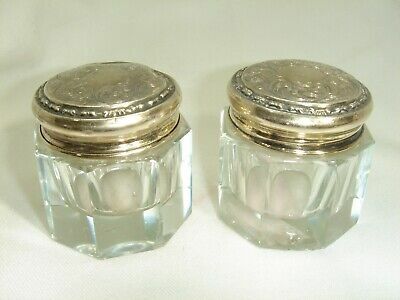 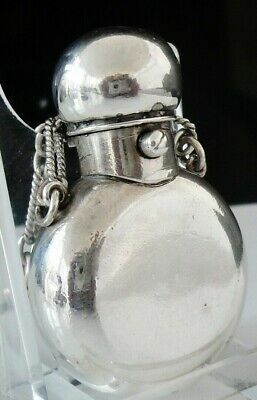 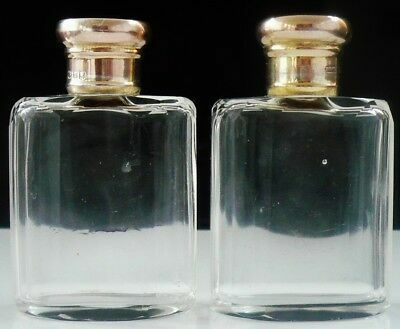 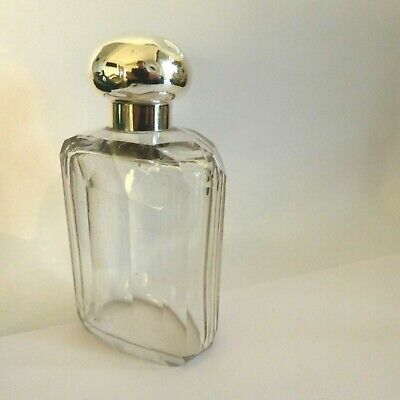 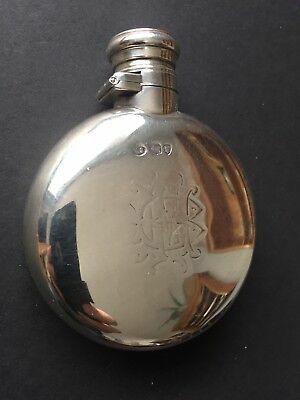 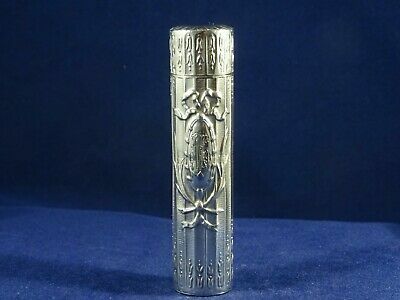 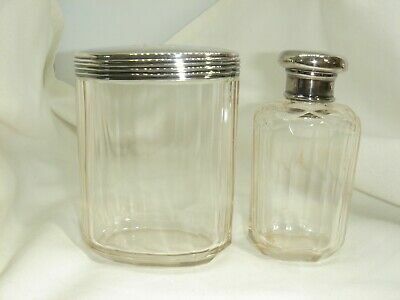 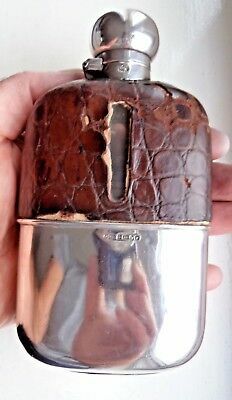 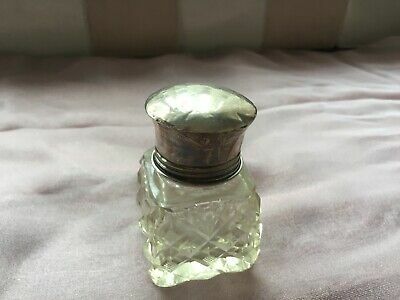 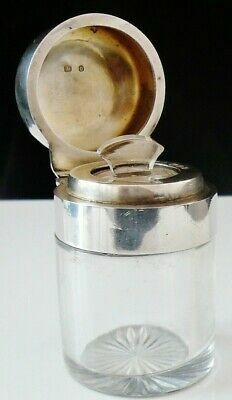 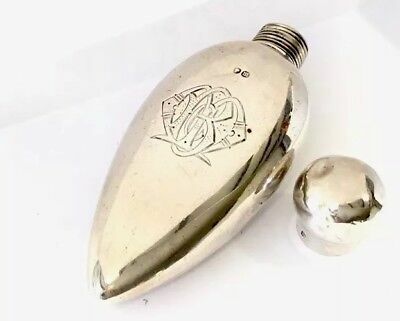 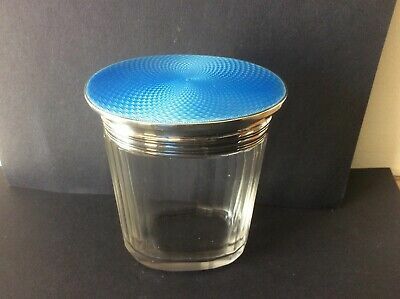 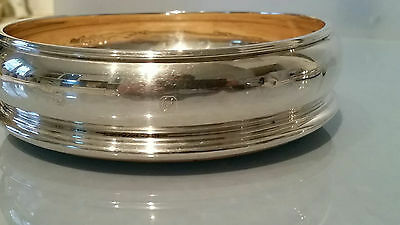 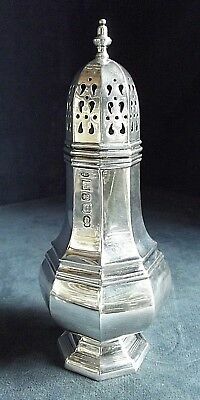 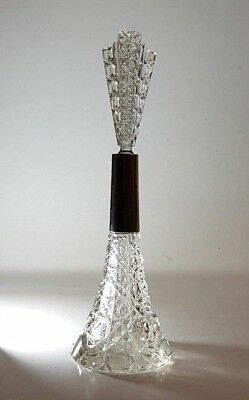 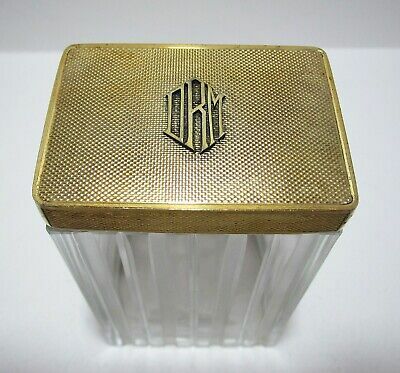 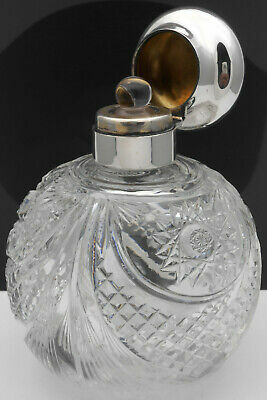 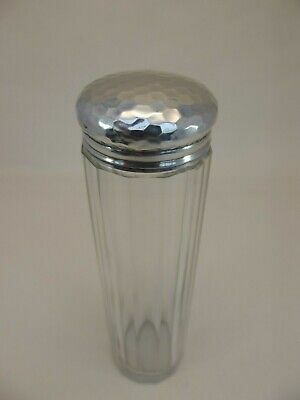 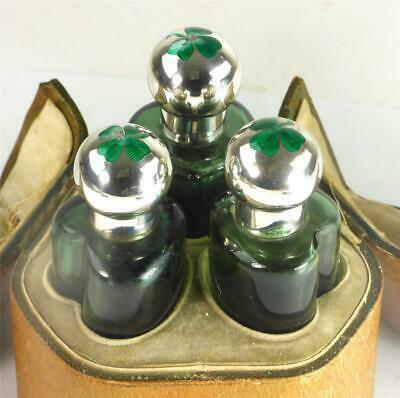 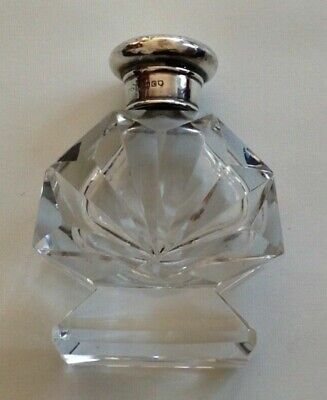 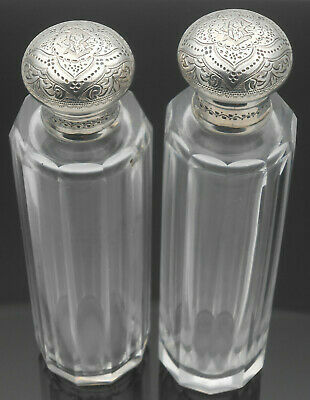 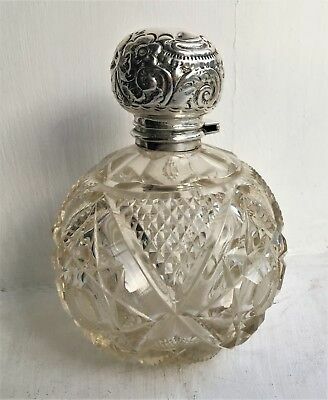 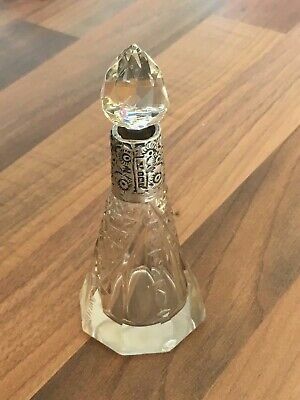 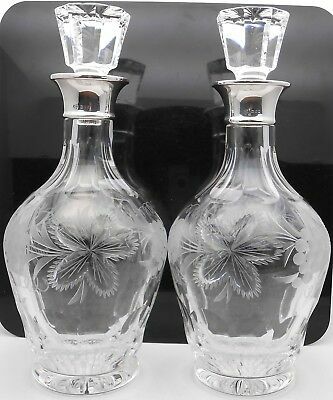 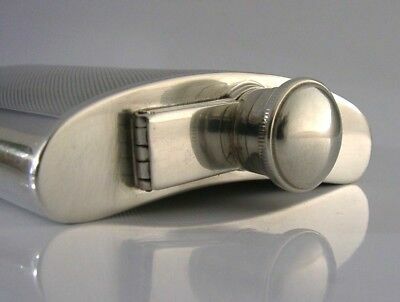 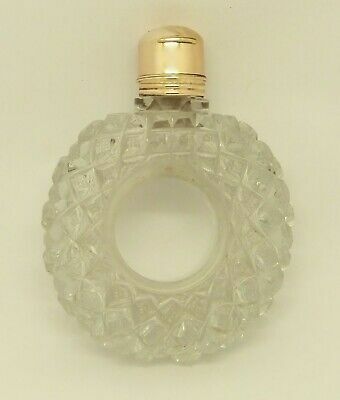 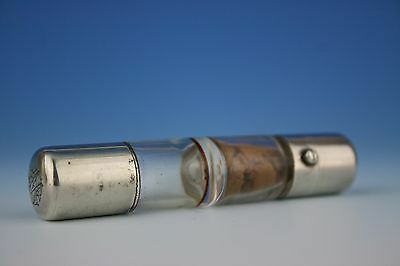 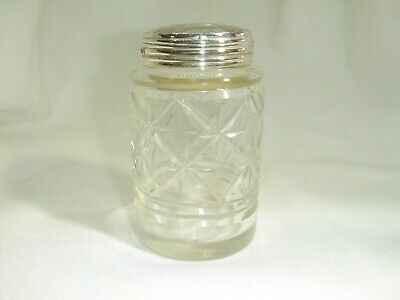 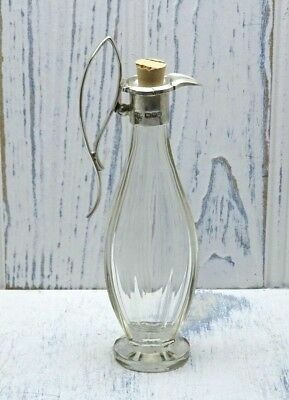 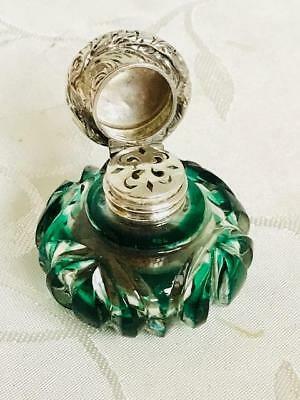 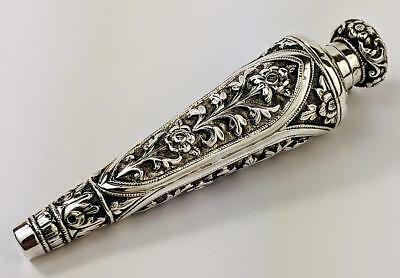 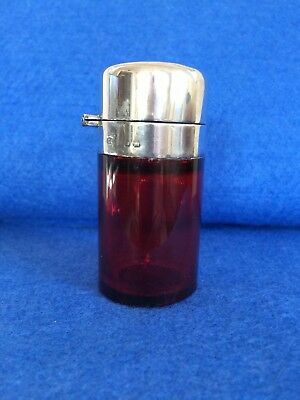 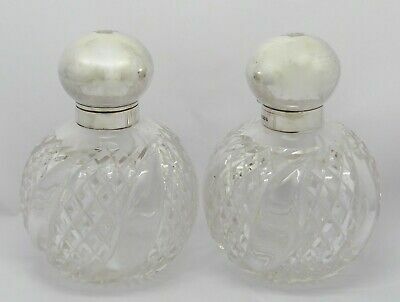 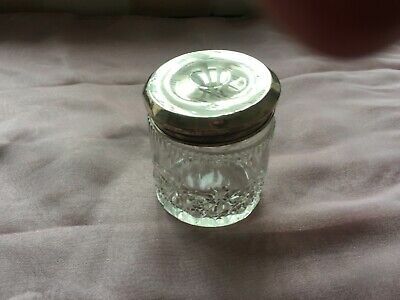 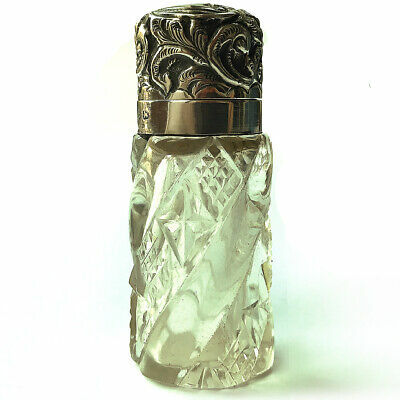 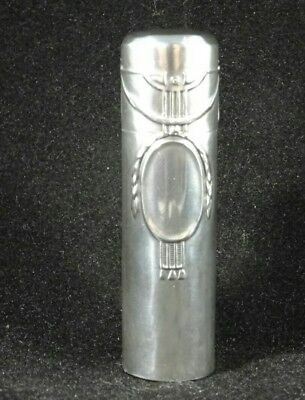 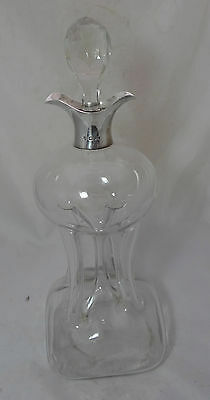 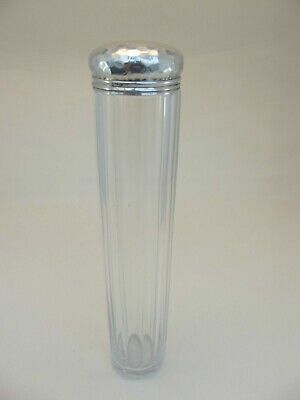 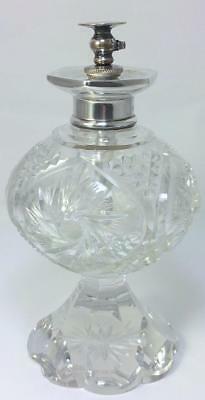 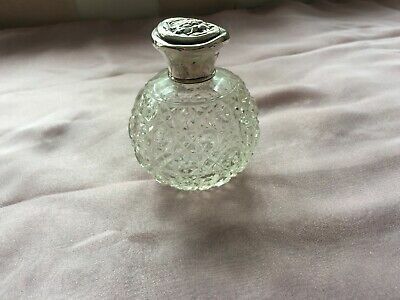 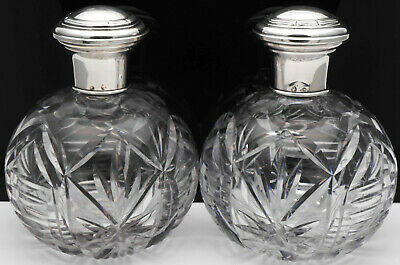 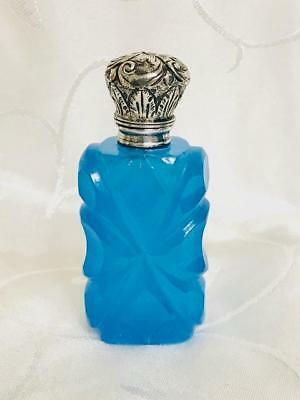 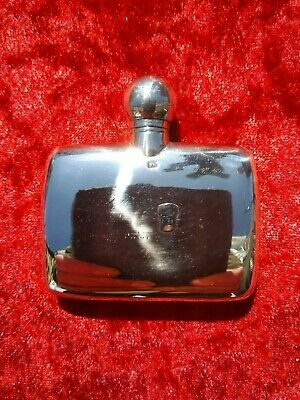 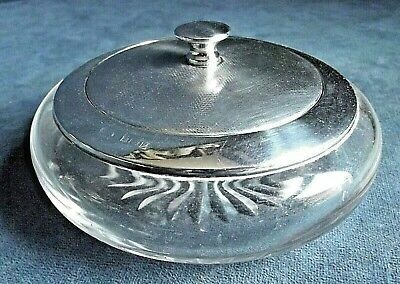 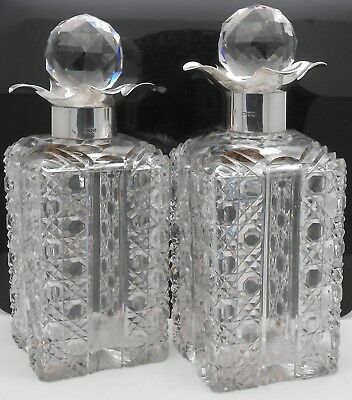 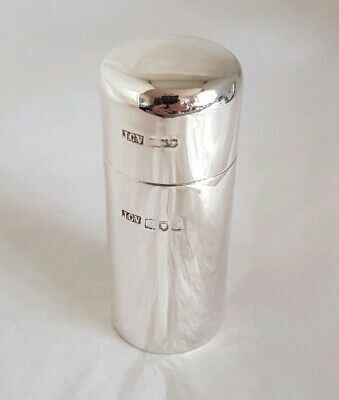 Tall HM Silver Top Glass Vanity Bottle - London 1890 W&G Neal - Not Engraved 7"
Solid Silver Art Nouveau Continental Cylindrical Perfume Bottle, Glass Stopper. 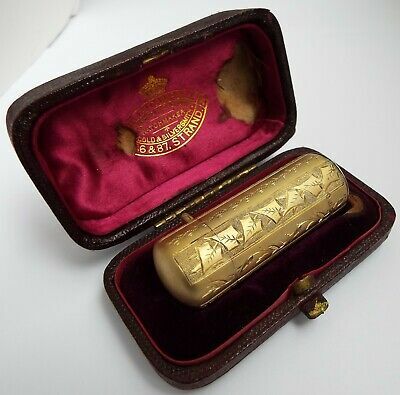 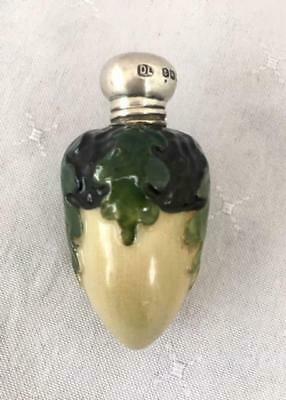 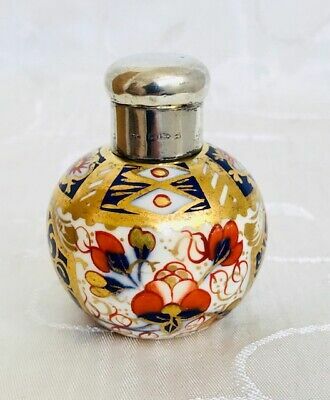 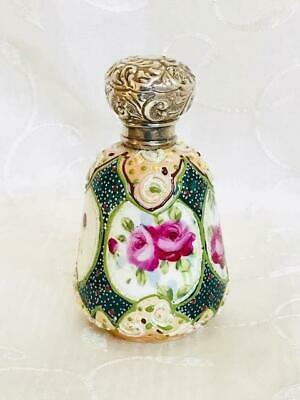 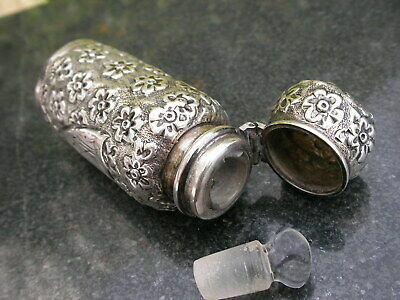 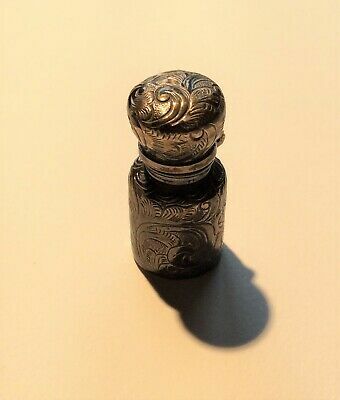 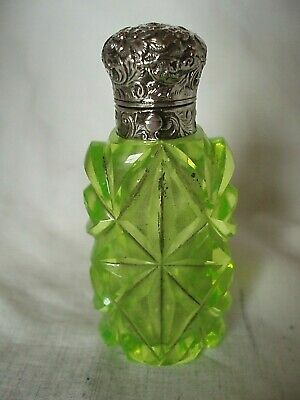 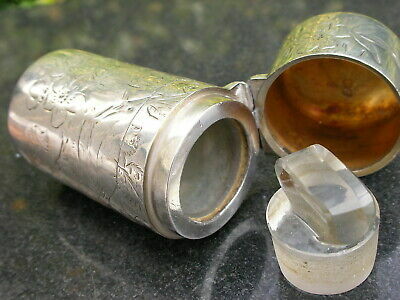 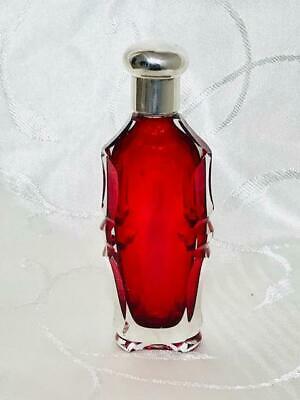 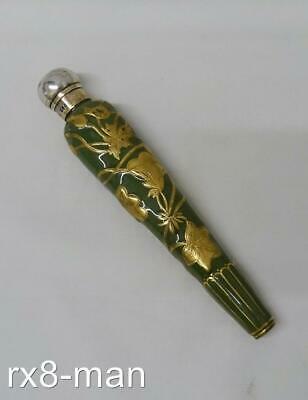 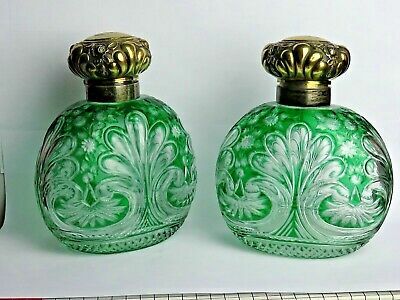 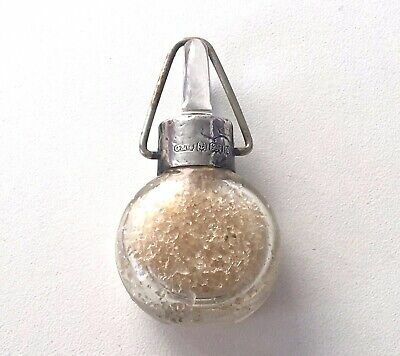 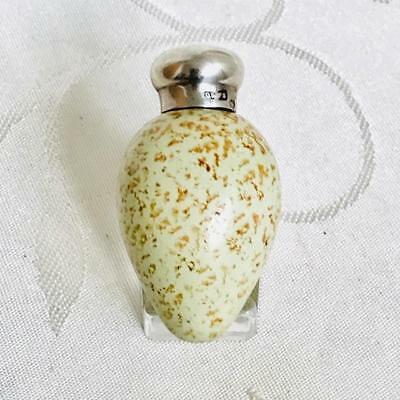 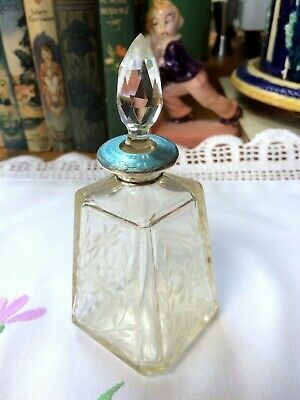 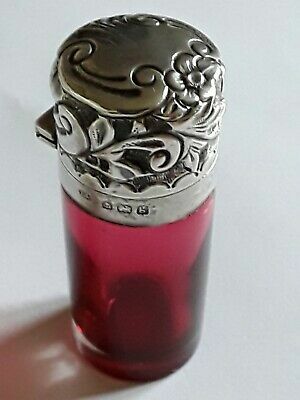 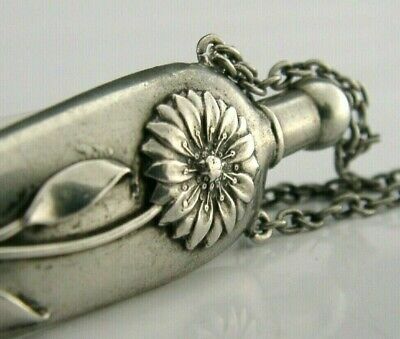 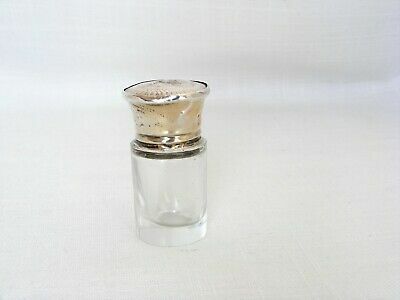 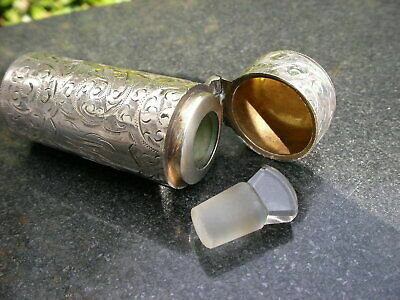 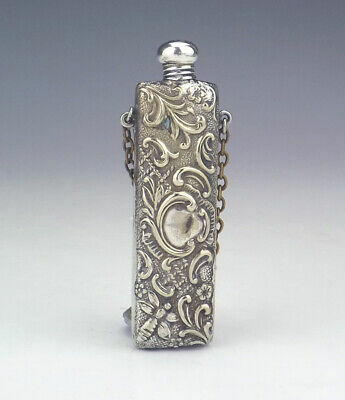 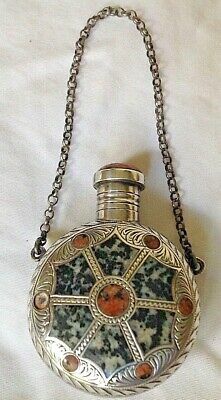 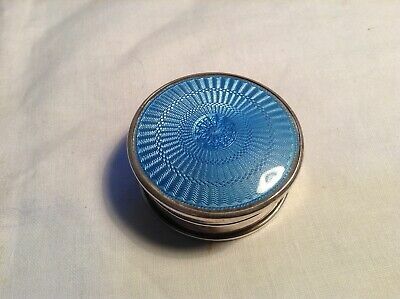 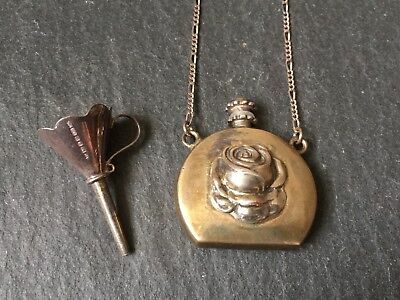 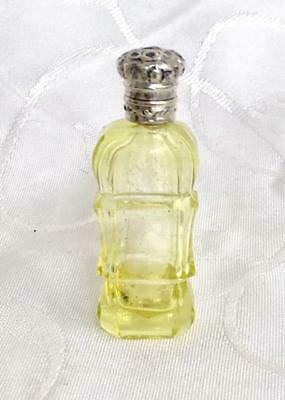 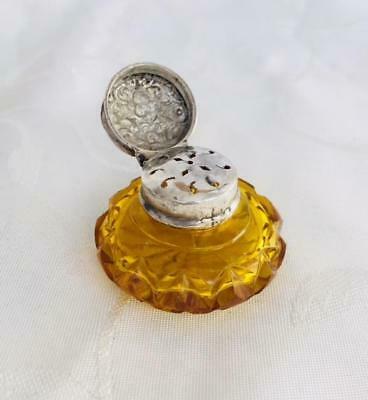 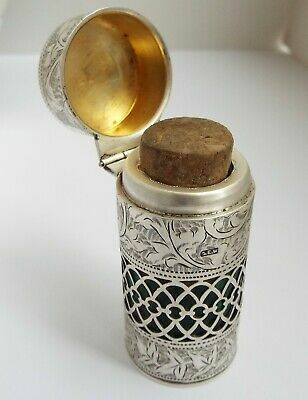 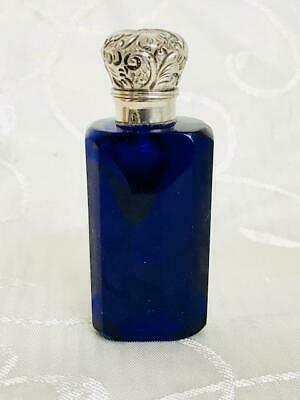 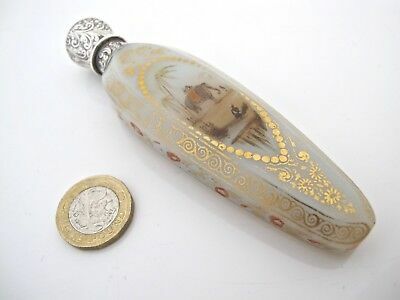 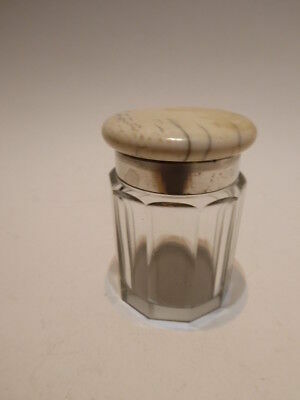 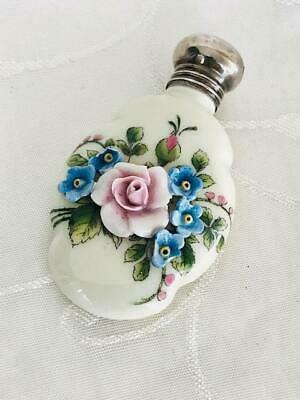 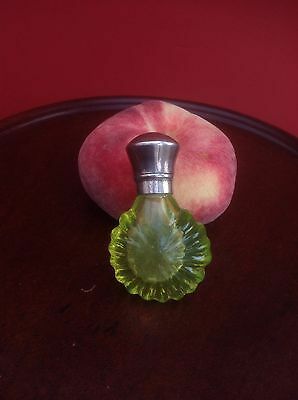 Fine Victorian hand-painted scent bottle with silver mount.